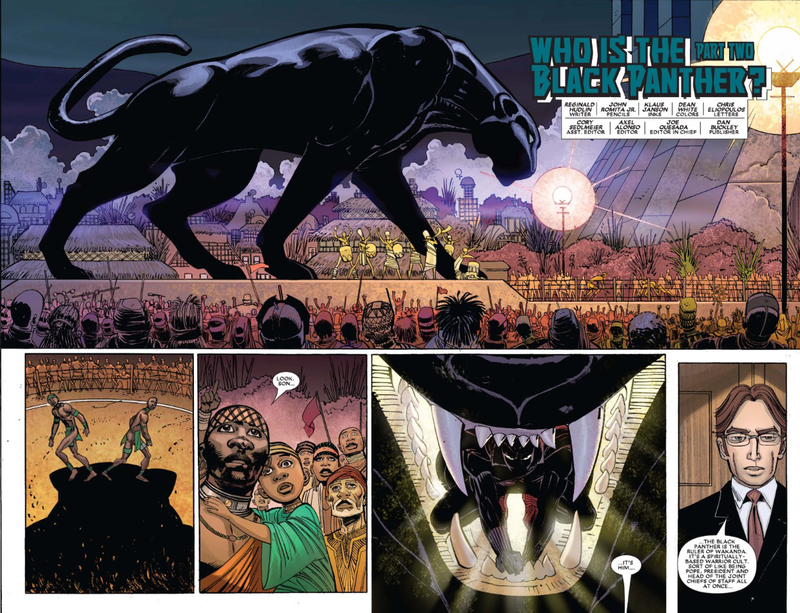 Who is the Black Panther? His name is T’Challa. Son of T’Chaka. 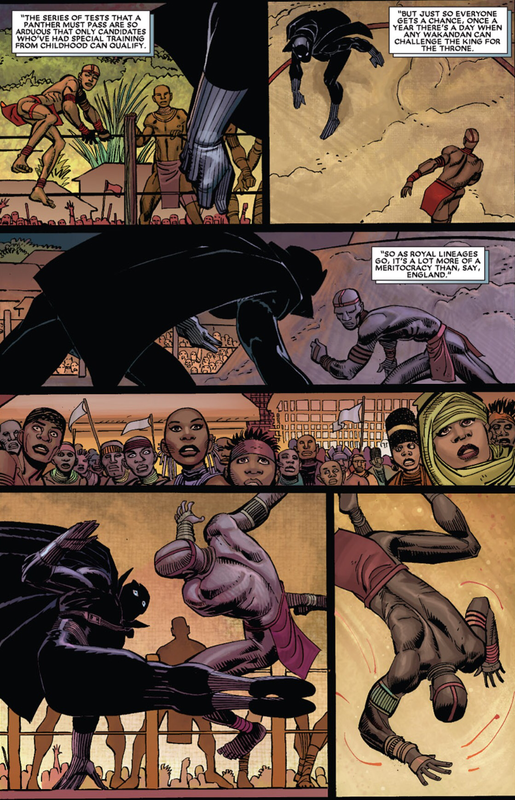 The Black Panther is the ruler of Wakanda. It’s a spiritually based warrior cult. Sort of like being Pope, President and Head of Joint Chiefs of Staff all at once. The Panther’s title is a hereditary title, but you still have to earn it. The series of tests that a Panther must pass are so arduous that only candidates who’ve had special training from childhood can qualify. 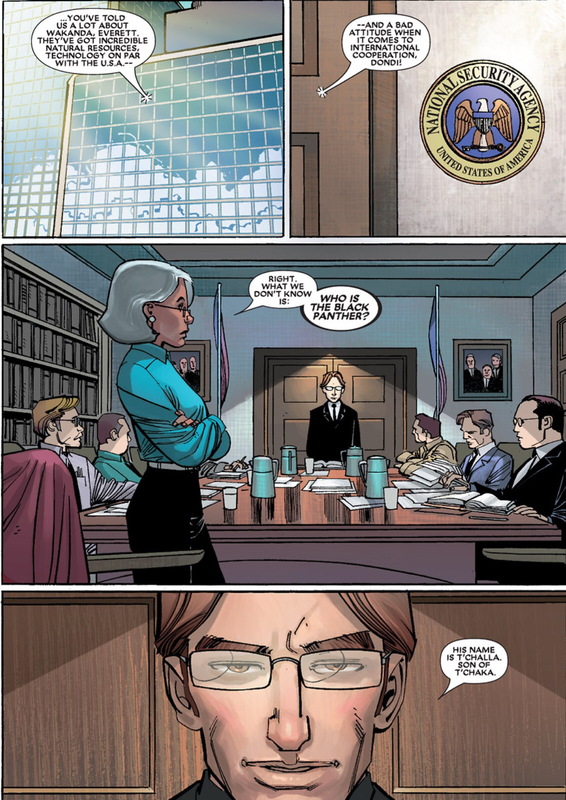 But just so everyone gets a chance, once a year there’s a day when any Wakandan can challenge the king to the throne. So as royal lineages go, it’s a lot more of a meritocracy than, say, England. 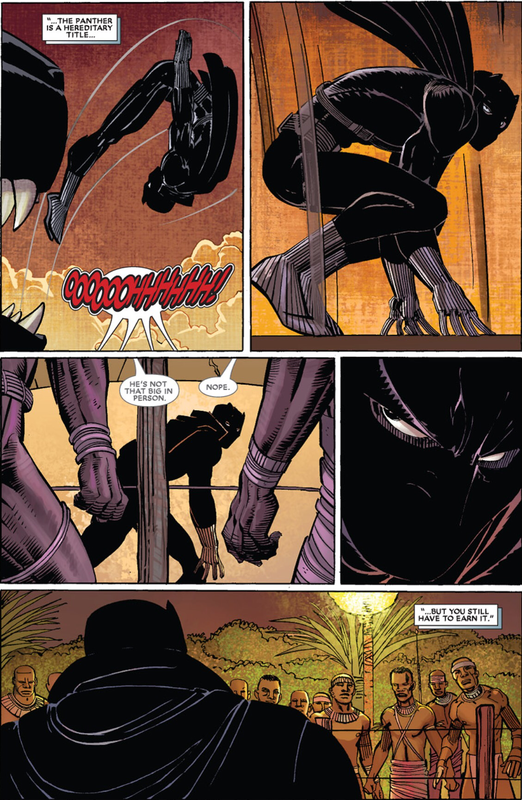 This entry was posted in Black Panther and tagged black panther, wakanda on May 26, 2015 by lowbrowcomics.